Bentley Motors announce the legendary Speed Six, known as The Blue Train, starts its 85th anniversary year with an appearance Rétromobile in Paris. 85 years ago, the age of gentleman racing car drivers. A unique Bentley Motor car was about to take part in a bet, the outcome would become a symbol of the era and be talked about by car enthusiasts for decades. 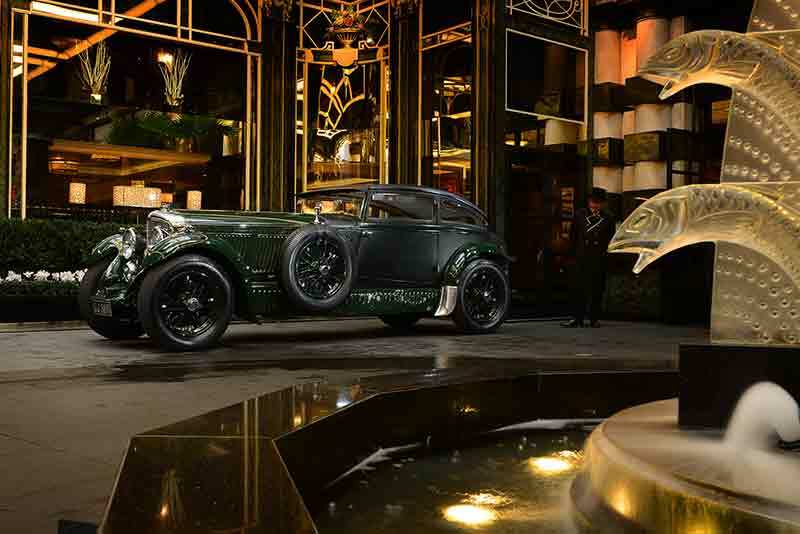 In 1930, Captain Woolf Barnato, then Chairman of Bentley Motors, a true “Bentley Boy” and winner of the Le Mans 24 hours three times, was staying in Cannes at the Carlton Hotel with his friend, Dale Bourn, the golfer. He accepted a bet that he could not only beat the Blue Train to Calais, as had been done before, but could be at his club in London before the train reached Calais. On the day of the race, the train departed at 17.54 as Woolf finished his drink in the Carlton hotel bar. He had arranged for fuel stations to remain open through the night in Aix-En-Provence and Lyon, and a tanker in Auxerre, and despite a puncture near Paris, he reached Boulogne with an hour to spare. He arrived at the Conservative Club in St James, London for a celebratory drink having passed the clock at Victoria Railway Station at 15.30 the next day, four minutes before the train was due to arrive in Calais. 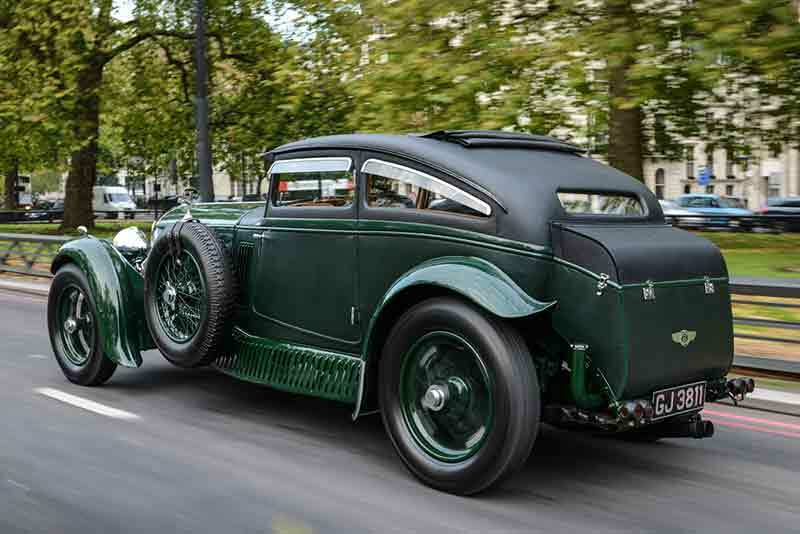 The Bentley Blue Train in the hands of Woolf Barnato had averaged just over 43mph on pre-motorway roads. He won the £100 wager, although the Automotive Club de France attempted to fine him £200 for running an un-authorised race on French roads. 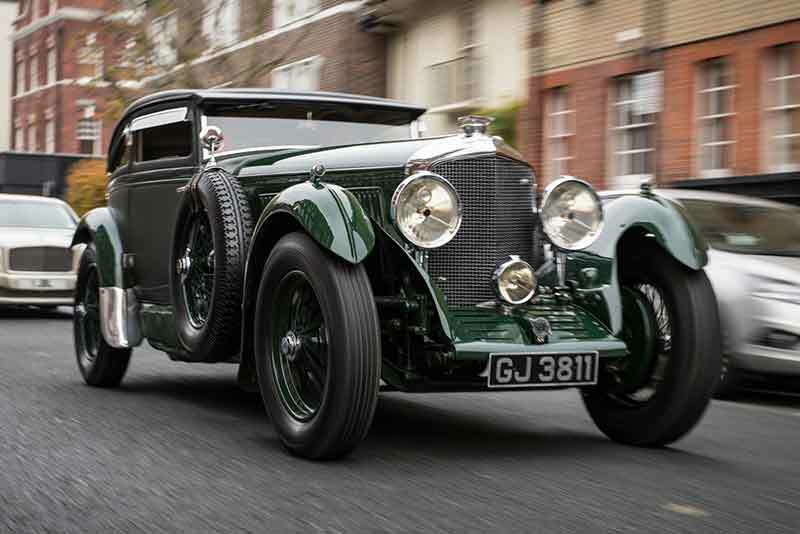 In recent years evidence has come to light suggesting that although the Bentley Blue Train appeared in the Terence Cuneo painting of the race, it may have been another Mulliner Saloon bodied Speed Six, also owned by Barnato, that beat the Blue Train to Calais. It seems unlikely that the truth will never be known now for sure, but this unique car remains one of the most famous racing vintage Bentleys from that era. In 1929 the Bentley Speed Six evolved as a racing version of the Bentley 6½ Litre, first introduced in 1926. The first 6½ Litre raced as No 1 at Le Mans in 1929 (and won), and returned in 1930 to win again, as ‘Old No 1’. A total of 182 Speed Sixes were built between 1929 – 1930, with a variety of body styles from several coachbuilders. Speed Six Chassis No HM 2855 was delivered to Bentley Chairman Woolf Barnato by Coachbuilder Gurney Nutting in May 1930. Barnato commissioned many bespoke, ‘one off’ Bentleys for his collection.